The recent news that the Corcoran in Washington, DC, will be mostly dissolved and its parts distributed to the National Gallery of Art (NGA) and George Washington University (GWU) is generating lots of discussion on whether this is a good thing or not, and who should take the credit or blame. For those unfamiliar with the Corcoran, it’s an unusual museum because it’s a combination of art gallery and art college. Students use the art collection for study and inspiration, and the art gallery exhibits student and faculty artworks along with historic American paintings and sculpture, connecting past and present. It’s a great approach for providing a rich environment for the study and appreciation of art for both students and the public. Other museums have followed similar paths to create deeper places of learning, including the Henry Ford Museum with its charter school, the Academy of Natural Sciences in its merger with Drexel University, and the American Museum of Natural History offering a Masters of Arts in Teaching. Yes, museums and historic sites can offer more than just an hour-long tour or a morning field trip. It’s all quite overwhelming so you may want to start with David Montgomery at the Washington Post, who provides a useful overview of what happened between the Corcoran, National Gallery of Art, George Washington University, and the University of Maryland in the last few months. It’s clear that some details still need to be figured out (such as the disposition of the collections, what happens to the historic building, and how to distribute revenues from recent multi-million dollar sales) and surprisingly some very small piece of the Corcoran may survive as a nonprofit organization dedicated to art (if it’s able to extricate itself from founder’s restriction that it remain a gallery). Clinton Yates at the Washington Post describes the impact on students and staff of the Corcoran: “the last few days have been a mix of confusion, concern and anger. The news marks the end of years of a shadowy process that had students and staff on edge for some time.” The Hatchet, GWU’s student newspaper, also followed the impact on students at the Corcoran: “But since Corcoran announced Feb. 14 that it would merge with GW, student morale has dipped as they heard stories detailing the financial struggles of both the college and the gallery. Some students said they felt like they were reading the Corcoran’s obituary.” What hasn’t been discussed that students and faculty have been placed in limbo, unsure what will happen to them except that their tenure will end in a few months. There are hints they’ll be hired by NGA or GWU, but no promises or offers. Jason Hall, a sophomore majoring in political science and sociology at GWU, believes that the inclusion of the Corcoran’s College of Art will make GWU “cooler”: “We need the Corcoran, a bona fide arts school. The mentality of those students and faculty will bring a bit more diversity to our school.” Not everyone agrees; you’ll want to read the responses. lack of experienced leadership. The Corcoran is currently headed by “interim president and director” Peggy Loar, who has extensive experience in managing museums but she’s hardly been there a year. Her predecessor, Fred Bollerer, is a former banker holding business degrees but had no direct management experience in museums or non-profit organizations. The board is most puzzling because the profile of its members is everything that’s promoted as a best practice: broad range of ages (40s-80s), experiences and perspectives (business leaders, non-profit leaders, lawyer, artists, alumni), and generous donors (both money and services). But there’s no denying that something went terribly wrong with the management of the museum and it could be that this current board inherited the decade-long bungling of its predecessors and it was too late to save the ship. This would make a good case study as a follow-up to Kevin Guthrie’s 1996 book on the New-York Historical Society. lack of consensus and commitment to one clear, distinctive, memorable, aspirational vision. As some others have remarked, the Corcoran seemed to suffer from an identity crisis, unsure of what it should do or become. It hired directors and consultants (including Lord Cultural Resources) to help them figure it out, but nothing seemed to gain traction or hold up against scrutiny. Its 2013 Strategic Framework mostly consists of vague, jargon-laden, and inward-looking statements. For example, the first of four core philosophies is, “The Corcoran is a forward-looking cultural and educational institution, focused on celebrating and fostering creativity, operating at the intersection of art and contemporary life and ideas.” Here’s a test: if you took out the name, what’s distinctive and sets it apart from other similar organizations? who benefits? how does it make a difference? what is it trying to improve, enhance, or change in the community? ignorance of conflicts of interest. First, there’s the convoluted sale of the Corcoran’s Randall School to the Rubell family in 2010, who were also negotiating loans from their private collection for a Corcoran exhibit. Secondly, it’s the transformation of consultants into employees. Real Change Strategies, for example, not only provided advice but then placed its own staff into senior positions at the Corcorcan, including Debbie Feinberg as vice president of finance and Fred Bollerer as COO and eventually director and president. It’s a common practice at the big consulting firms like McKinsey to ensure they’re integrated into the organization (see Lords of Strategy by Walter Keichel), but I consider it self-dealing and unethical (and so did the venerable law firm of Gibson Dunn in 2012). It’s like a financial advisor recommending a mutual fund because it pays him a commission or a dentist recommending a root canal because it pays more than a filling. For those involved with historic preservation and historic sites, here’s an interesting connection: Real Change Strategies was the consultant to the National Trust for Historic Preservation during its 2010-2012 reorganization. incomplete business or transition plan. Many of the key issues are still unclear (such as acquisitions, restricted funds, and deaccession proceeds); key leaders at all three institutions didn’t know about it until they read it in the paper; and that the University of Maryland felt that it was blindsided. I’ve heard rumors from many people involved that news of the transition was leaked to the Washington Post before the Corcoran was ready to announce, which would explain so many mysteries. While the Corcoran, NGA, and GWU are pressing ahead, it does reveal they’re still at the beginning rather than at the end of their journey in uncharted territory. A bigger discussion is whether the fate of the Corcoran (or any museum) is a loss or a gain for Washington, DC and the nation. 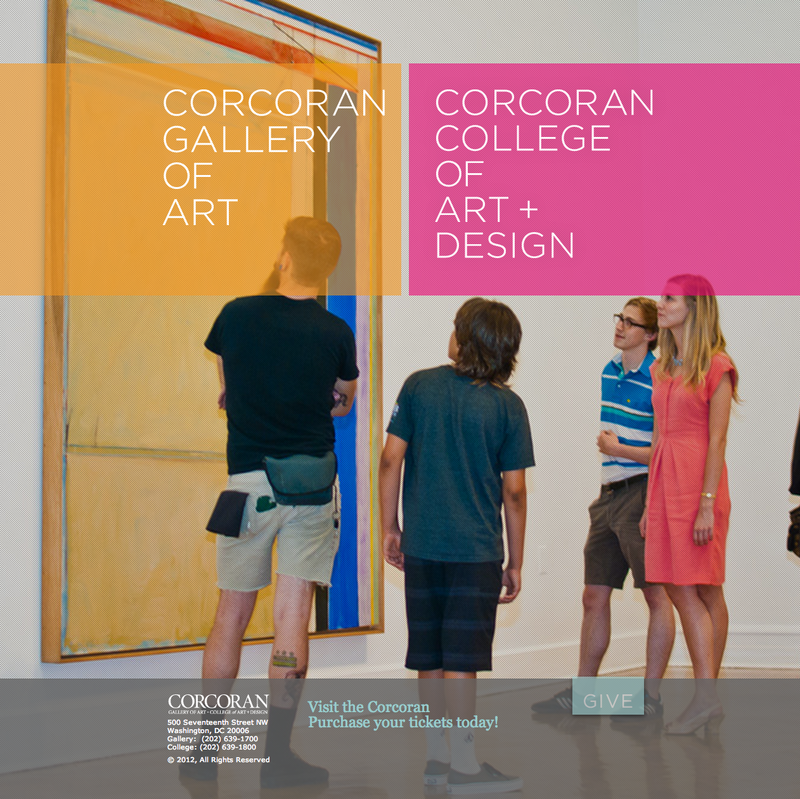 The major parts (collections, school, building, students, maybe staff) are being absorbed by other educational and cultural institutions and strangely some small part of the Corcoran is supposed to continue as an arts advocacy organization. But is this a heroic effort to save a venerable but unsustainable organization or is it the loss of another independent voice and perspective, much like the consolidation of newspapers? Does the addition of the Corcoran to GWU and NGA help further their mission and strengthen their impact? Tyler Green at ArtInfo explores some of these issues in “What the Corcoran Collection Could Mean to NGA” and “What Would a Post-Corcoran NGA Look Like, Do?” Utimately, it depends on how you view the role of museums and schools in the 21st century (is collecting, preserving, and interpreting a “means” or an “ends”?). This entry was posted in Governance and management, Strategy and tagged Corcoran Gallery of Art, George Washington University, National Gallery of Art, University of Maryland on March 18, 2014 by Max van Balgooy.